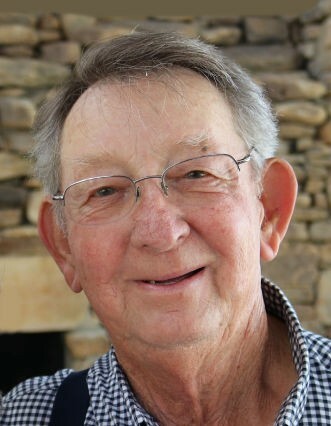 Henry Holbert Meadows, 81, of Ball Ground passed away Friday, November 2, 2018. Henry was a loving, caring and devoted man who stepped into the role of husband, father, grandfather, great grandfather, uncle and friend with grace and dignity. Following retirement, he and Karen enjoyed their time at The "R" Ranch where he was known as "The Mayor". He was the originator of the golf cart races there and also The Night Riders, a group of men who, in the dark, rode the horse trails and shared much laughter. Henry will be deeply missed by his devoted family and many friends. His sweet, loving, contagious smile will be forever etched in the memory of those who loved and knew him. Survivors include his wife, Karen Meadows; daughters and sons-in-law, Susan and Buddy Chumbler, Kathy and Bryan Parker, Linda and Troy Gibson, Melly McCutcheon, Marti Griffith; grandchildren, Alexis and Josh Coker, Ashley Chumbler, Bryan Jacobs, Conner Parker, Carsen Parker, Bryce Parker, Zachary Gibson, Tyler Gibson, Austin Ainsworth, Melly Ainsworth; great grandchildren, Blayke Jacobs, Reece Jacobs, Brayden Coker; sisters and brother-in-law, Jean and Cecil Dupree, Helen Perkins and a number of nieces and nephews. The family will remember Henry at a Celebration of Life Service at The "R" Ranch at a later date.